Whether at home or at work, elevate to new heights with BULLET PRO Series and Baumr-AG Ladders and Platforms, exclusively offered by Edisons. Engineered with portability and strength in mind, these elevation solutions tools are built with sturdy but agile metals, and devised for extra easy storage. A must-have for all tradespeople, handymen and casual DIYers, nothing is beyond their reach with these ladders and platforms. 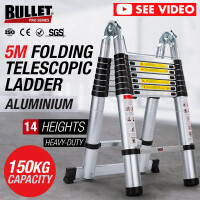 The ultimate name in toughness, the BULLET PRO SeriesFolding and Extension Ladders combine unparalleled strength and portability with its singular telescopic design and lightweight aluminum construction. The Folding and Extension Ladders both extend incrementally to great heights, ensuring nothing is out of reach. With their compactible design, these gargantuan ladders can be safely stored in the tightest of spaces. Out of sight, out of mind. BULLET PRO Series Ladders and Platforms are designed with the optimum user safety. The ladders and platforms are packed with safety features like industrial-grade latches, solid rubber-tipped feet, and stabiliser bars. Built to a world-class standard, these champion tools come with full safety certification. The Baumr-AG Mobile Adjustable Scaffold is the easiest solution to raising your working height. 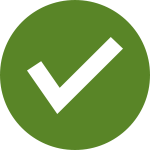 Each platform is designed to be effortlessly assembled by a single person. Strong enough to lift heavy tools, yet slim enough to fit through most doorways, this platforms is perfect for both extensive indoor and outdoor usage. Complement your Ladder and Platform with tools of the trade like Saws, Jackhammers, Laser Levels, Vacuums, and Drill Bits, all available here at Edisons. 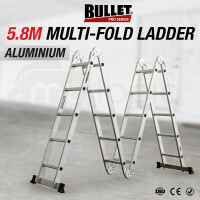 Order your BULLET PRO Series or Baumr-AG Ladders and Platforms online now and rise to a new peak of excellence!